In our current app, we offer speculative trading based on CFDs (Contracts for difference). Most users buy and sell frequently. They can also speculate on a price of a stock going down, by going short. The whole app is geared towards short term trading. Both from a functional as well as from an interface point of view. With STOCKS we offer investing in real stocks. 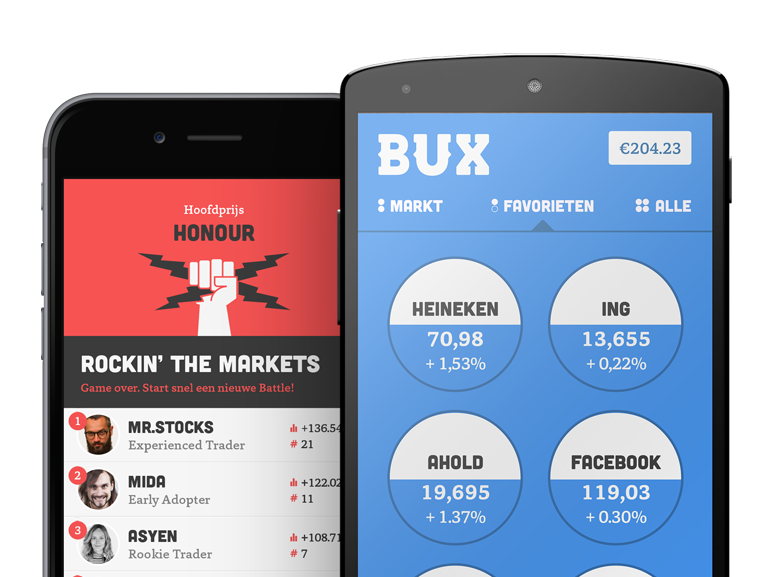 The interface and functionalities of BUX STOCKS are geared towards longer term investing so we expect users of this app to hold their stocks for a longer period of time. And, because you are now investing in real stocks, you actually own a part of the underlying company.